Each minor league is responsible for setting it own playoff procedures and tie breakers. Luckily, for the Eugene Emeralds, they hold that luxurious tie breaker against Salem-Keizer. Last night, the Ems’ bats came alive as they grinded out hit after hit to defeat Salem-Keizer 7-3. As a result, the Ems actually now lead Salem-Keizer by one game, but it is technically two with the tie breaker. Heading into Saturday, Eugene’s playoff magic number is two. 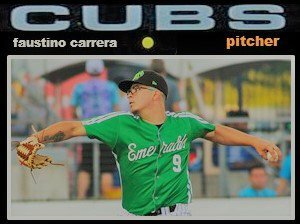 Faustino Carrera – The 19-year-old lefty starting pitcher was fab in his 6 innings of work shutting down the vaunted hitting lineup of the Volcanoes that includes the second pick of the 2018 Draft in Joey Bart. What I like about Carrera is that he is a very efficient pitcher as he does not waste a lot of pitches. He goes right at guys trying to get them to get themselves out as he uses a mixture of off speed stuff and a fastball he can command. 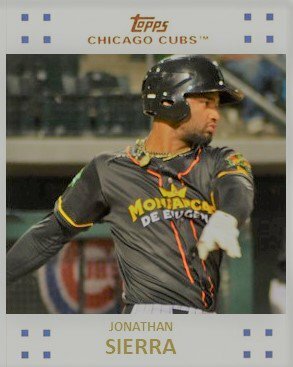 Jonathan Sierra – The 19-year-old lefty hitting outfielder dinged a couple of singles and drove in three runs. While Sierra has struggled at times this year, he’s lately been showing signs of being able to get a hold of pitches down and in, his Kryptonite this year. If he can do that on a regular basis, his K rate will go way down and his average will go way up. Eugene will play last place Boise in a three game series in Idaho to end the year while Salem-Keizer plays Hillsboro, the top team in the league this year. I like the Ems chances to get back to the playoffs for a third straight season.